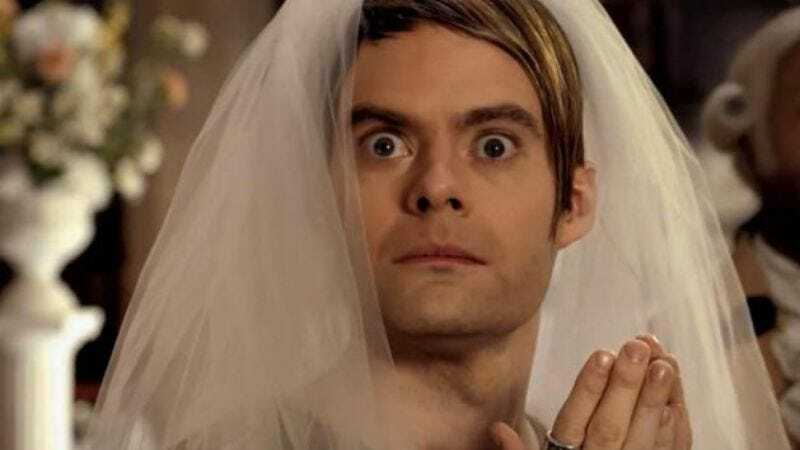 As Saturday Night Live’s Stefon, Bill Hader always knew New York’s hottest nightclubs, as well as what it meant to be a human parking cone. Even though Stefon did his best to explain what Hobocops were, most of the time fans were just left to imagine what they might actually look like. Fortunately (and sadly), this weekend brought the biggest Stefon skit in the character’s history, complete with actual depictions of Ferkels, German Smurfs, and a drowned albino that looks like Axl Rose. The entire clip of the sketch is below, along with a bunch of gifs that some wise web user and fan put together, because he or she is the best. Watch, laugh, cry, and then get incredibly pissed because there will never be a Stefon movie.